Founded in 1941 in Tokyo, Japan, HOYA Corporation is a global technology and med-tech company and a leading supplier of innovative high-tech and medical products. HOYA is active in the fields of healthcare and information technology, providing intraocular lenses, eyeglasses, medical endoscopes, optical lenses as well as key components for semiconductor devices, LCD panels and HDDs. With more than 75 years of optical product expertise, HOYA has developed a core range of technologies which includes surface treatment and optical design. HOYA currently employs a multinational workforce of over 36,000 people across its 150 offices and subsidiaries worldwide. 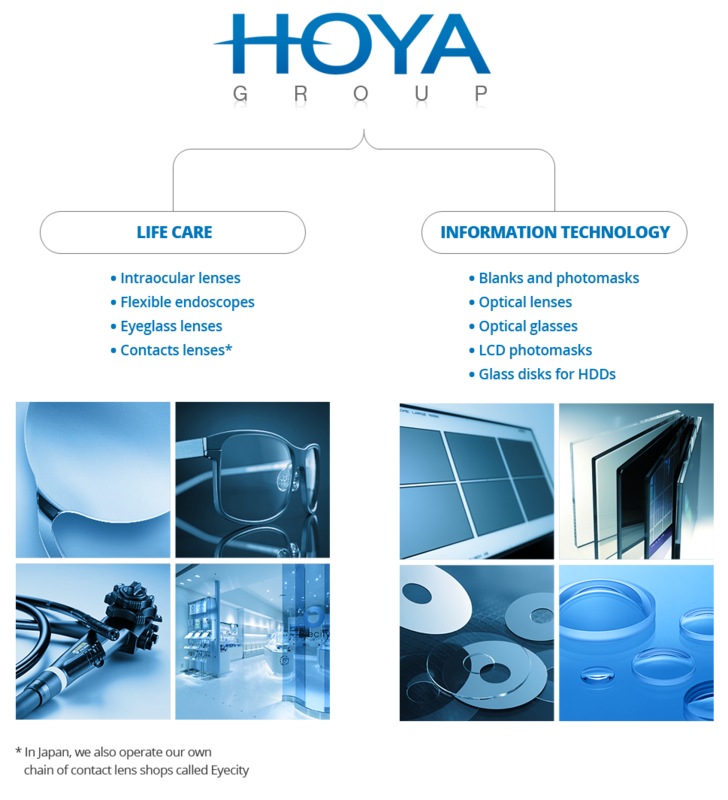 The HOYA Corporation business is divided into 2 distinct segments: Life Care and Information Technology.